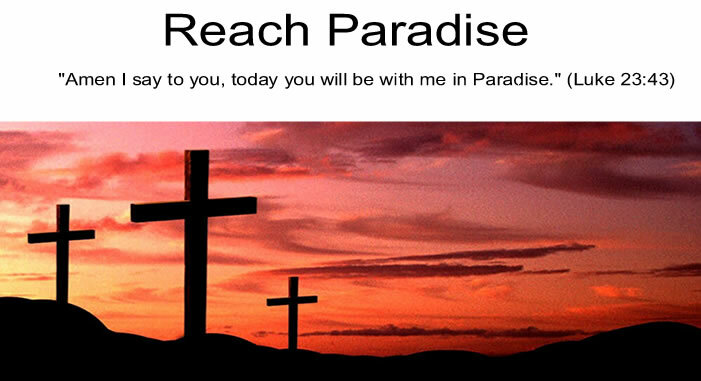 Reach Paradise: Are we Really The Good Samaritan? Are we Really The Good Samaritan? I was quite moved this week after hearing the first reading about Abraham's servitude again. I know times were different back then, but could you imagine someone jumping to such generosity today? I mean, Abraham did not even have a conversation with the three men standing near his tent before requesting that they stay and let him serve them. Today, sadly, most of us would probably keep our heads down or continue about our business, hoping we were not interrupted by someone we did not know. Abraham's actions also rekindled a thought that was burning inside me since last week's Gospel. I've heard the famous Good Samaritan reading many times in my life, but as I read it last week, I realized that I generally see myself - and most Christians - as the Good Samaritan. I reflected on that a lot this week. I kept asking myself ... in that story, am I really most like the Good Samaritan? I came to the conclusion that most of the time, I am not. Instead, on average, I am more like the man on the side of the road. Jesus is the Good Samaritan, and I need Him to come carry me. He is, after all, the one that has paid our tab for eternity! Great post yet again, Michael. Thanx. You say "Today, sadly, most of us would probably keep our heads down or continue about our business, hoping we were not interrupted by someone we did not know." I often find that complete strangers talk to me on the train, the bus, or walking the dog. Even though I try to get on my business. Oddly enough, I have just posted about this on my Blog today. You might wish to see it. Second point. You imagine if we were the person lying on the ground instead of the Samaritan. What would we, as victims, feel in those circumstances? Would we want a Samaritan, an enemy, to touch us, or would we feel he is about to harm us and rob us? God bless you for your posts seeing the Bible in a new light. Victor, thank you for your comment. Very interesting points - especially the second one. I had not actually visualized that from the man on the ground's point of view. I wonder if he was worried, at first, when the Samaritan came to help. I always envisioned him being happy that someone was helping, but you are right, perhaps he hesitated. I'm sure I would have!